What would Jesus look like? Would He look fully human, or would He look more like the angel Gabriel – tall with golden skin? Would He take after Mary? Would Jesus have special powers? Would He perform miracles, like heal people and raise the dead? Would He fly, become invisible, or walk on water? Would He be super strong or able to run very fast? Would He need to eat and drink? Would Jesus grow up normally? Would He grow up like a normal boy, or would He mature quickly? Would He understand everything going on around Him, even as a baby? Would He speak as an infant, or learn to speak over time? Would He learn from Mary and Joseph, or would He immediately begin to teach them? How long would they have Jesus? Gabriel said He was the Son of God and that He would reign over the house of Jacob forever. Did that mean He would live forever? Or would He disappear from this world and go to be with God? I find it very humbling to think about what it must have been like for Mary and Joseph who found themselves responsible for the most important person in the world, the greatest gift to mankind. I believe the Holy Spirit must have guided Mary and Joseph’s steps every day, giving them comfort and peace about the unknown future. I also like to think that Jesus Himself helped to guide Mary as He grew within her. What strange comfort that must have been! However, it dawned on me today that there is something else going on here that is much bigger than one person. 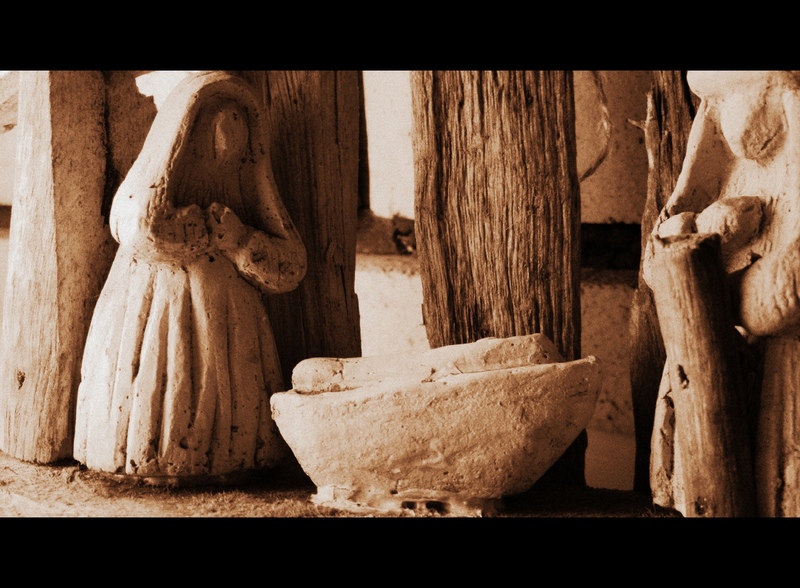 I was thinking about Mary – how she carried the baby Jesus inside her; how He developed over 9 months; and how she delivered Him in a barn because there was no room for them. All of this so that Jesus might live and die for our sins so we can all have a relationship with God. And then I thought about the rest of us Christians – how the Holy Spirit comes to live inside us when we accept Jesus as our Savior; how His Spirit helps to mature us, giving us guidance and comfort; and how we eventually bear the fruit of the Spirit into a world that does not know Him. And all of this so that we might have a relationship with God and introduce others to Him so they can find salvation in Him, too. The miracle of Jesus’ birth over 2,000 years ago is only magnified by our ability to know and serve Him today. As you prepare your homes and hearts for Christmas this week, remember that the story has never ended – it continues even now as folks like you and I carry the message of Jesus throughout the world through His precious Holy Spirit. Great post. Lots to reflect on. Merry Christmas and Happy New Year.